Sweet Potato Butter – A Honey Hush Recipe! Sweet potato butter is something I have had on my mind for a long time. I knew I wanted to make it, didn’t know if anyone else had done it or if I’d be a sweet potato butter pioneer! Well I have found a couple of recipes online but I haven’t found any are made with just sweet potatoes – they all use apples, apple juice, apple cider or apple something! So needless to say, I’m not really following their recipes cause I’m not adding apples to my sweet potato butter! Anyhow, the first time I made it, I was so in love with the taste of it and so glad I made it. When trying to describe it all I could come up with was “honey hush”. “Honey hush” was one of my Aunt Winnie’s favorite sayings. I can remember her talking to someone (usually on the phone) and when they would say something that she was intrigued by, tickled by or impressed by, she would say “Honey Hush!”. I can still hear her saying it and to honor her, I have a “Honey Hush” category for my site. Dishes that are particularly fabulous – like sweet potato butter, will be given the special category designation of “Honey Hush”! It’s kind of like saying “shut the front door” or “shut up” today, but with so much more pizazz and sass! Honey Hush!!! I actually made two different batches of sweet potato butter. One is brown sugar sweet potato butter, which is a deep, rich, brown due to the brown sugar and the cooking time used. The other is more the color of sweet potato pie because granulated (white) sugar is used. Both are delicious but I think the brown sugar sweet potato butter has a deeper, richer flavor and looks similar to apple butter. I promise you though, there were no apple products harmed/used in the making of this product! :). 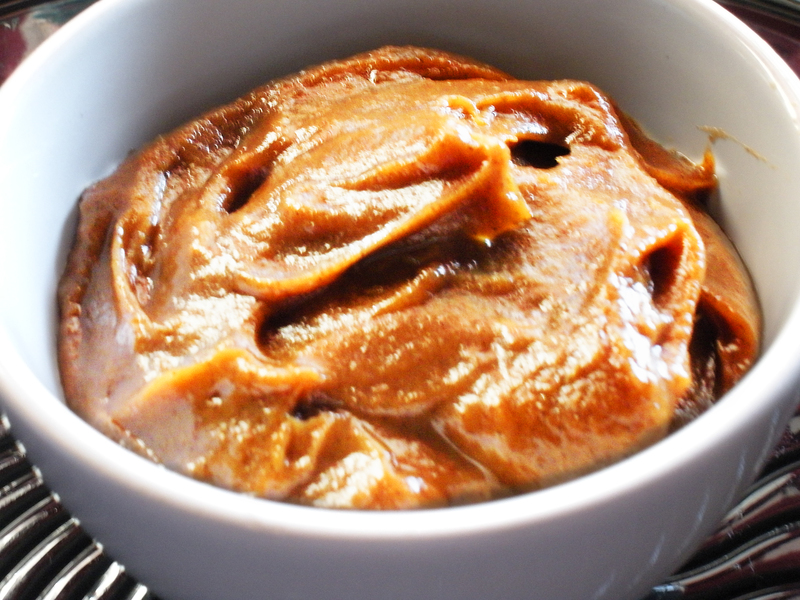 Sweet Potato Butter – A “Honey Hush” Recipe! This sweet potato butter is great on biscuits, toast and muffins. It's also an excellent addition to a food gift basket or care package and it makes a special treat for the holiday or special occasion breakfasts! You can use fresh, frozen or canned sweet potatoes - whatever's handy! And before you ask I don't know why every other recipe you see adds apples or apple juice or apple cider or apple something to their sweet potato butter. I don't see any recipes adding sweet potatoes to apple butter so I really don't get it! I've been eating sweet potatoes all my life and I can tell you that they don't need any help from apples, they can handle flavor all on their own! I love sweet potatoes! Cook sweet potatoes in their skin, until done. Combine fully cooked sweet potatoes in ½ cup of the water they boiled in, spices, and sugar in a crock pot; stir well. Cook on low simmering for 2 hours until reduced and thickened. Stir once or twice. Turn crock pot to high for 30 min - 1hr to evaporate any excess liquid. Puree using a food processor or immersion blender until you are left with a creamy, smooth spread. Transfer to sterile containers and cool or chill. Serve with homemade biscuits. Will keep 2-3 weeks in the refrigerator. Can also be canned or frozen in a freezer safe container. I understand, I’ve just begun to research canning sweet potatoes. I did read, that if you puree them there’s a heat penitration issue. Creating pockets of heat during water bath. I completely agree with not adding of the apples to the sweet potatoes. Thank for sharing your wonderful recipes. OK that’s good to know! I don’t really do much canning and like you I’ve never canned sweet potatoes but that is good to keep in mind if I ever decide to. 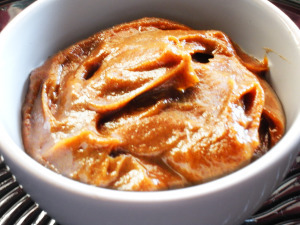 When I make sweet potato butter, it’s more of a make and eat situation at my house! It would be nice to be able to can it though and have it whenever we want it without having to make it first! 🙂 Thanks again for sharing the tip! Be sure to feel free to share anymore that you would like to with us! Regards. Phyl, what you should really try is the sweet potato butter on hot biscuits. It’s the jam, literally and figuratively! 🙂 I made a batch a couple weeks ago and put it in the freezer for Christmas morning breakfast. Shrimp & grits with eggs to order & biscuits and sweet potato butter! Yum! I’m also going to do a salmon patty with fried potatoes & onions and eggs to order breakfast. I’ll make it another morning during Christmas week, I’ll make biscuits and break out the sweet potato butter again! It’s really good Phyl, you’re going to love it! Don’t let the picture throw you off, I just need to take a better one! It really looks like apple butter but tastes so much better!